Session 254. 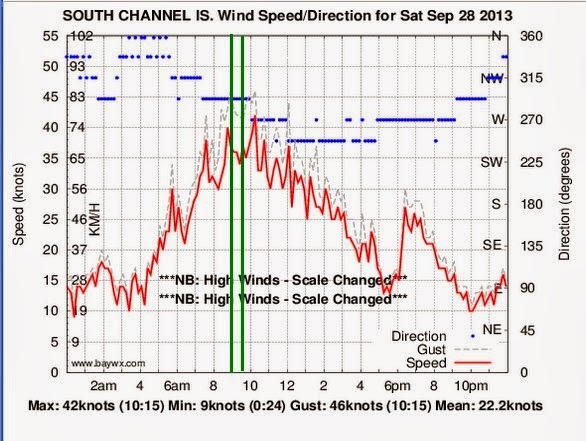 Cesar and I met at Rye at 8:30, hoping the forecast for lighter winds during the morning would be accurate. When we got there is was nuking. It was blowing a steady 30-35 knots and gusting up to 45 knots. 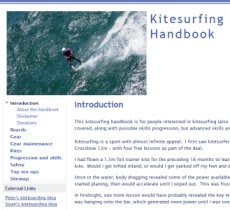 A few windsurfers were having a go - I spoke to one who said he was overpowered. I rigged up my Crossbow 7 and gave it a go. The kite was fully de-powered but it was still pulling like a train. I headed out climbing over the big bay surf that was pumping in. Coming back in I got yanked off my board a few times and got dragged down wind a bit retrieving it. I couldn't get settled on the tack back in as I was getting overpowered. Coming back in I decided to land the kite and not persist. 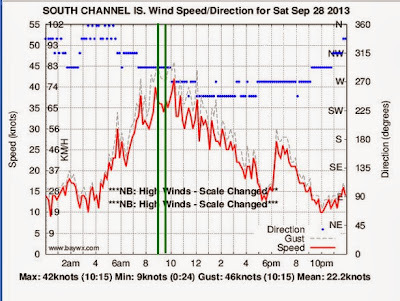 I think up to 35 knots was o.k, but wind stronger than that was proving too hard to handle. Cesar followed me along the shoreline and landed my kite which was quite a relief.